Take a taxi at the airport directly to SNU Hoam Faculty House. Show this to your taxi-driver. It will take about an hour. 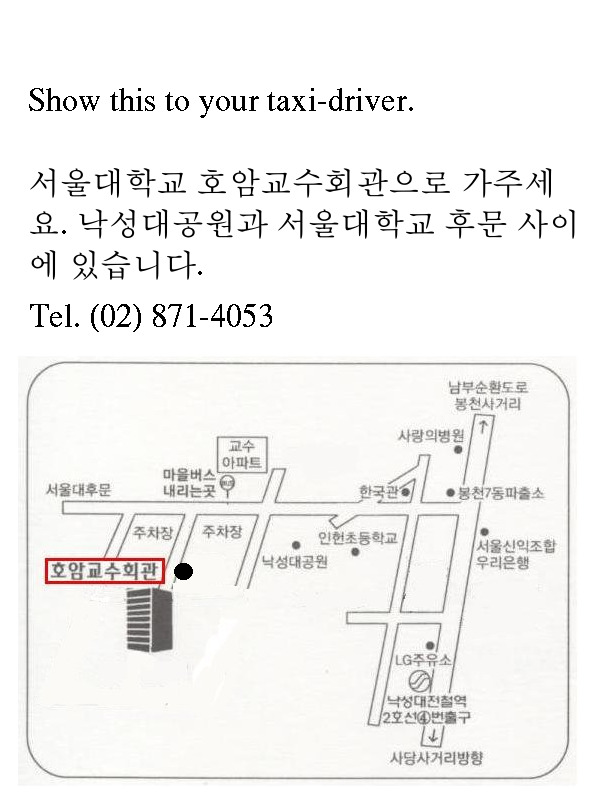 The fare will be about KRW 55,000 (~= USD 46) for standard taxi. Take the Airport Limousine Bus (No. 6003) at the bus stop 6B, 13A to Seoul National Univ. Station. Show this to a bus-driver. Interval: 15 ~ 20 min. 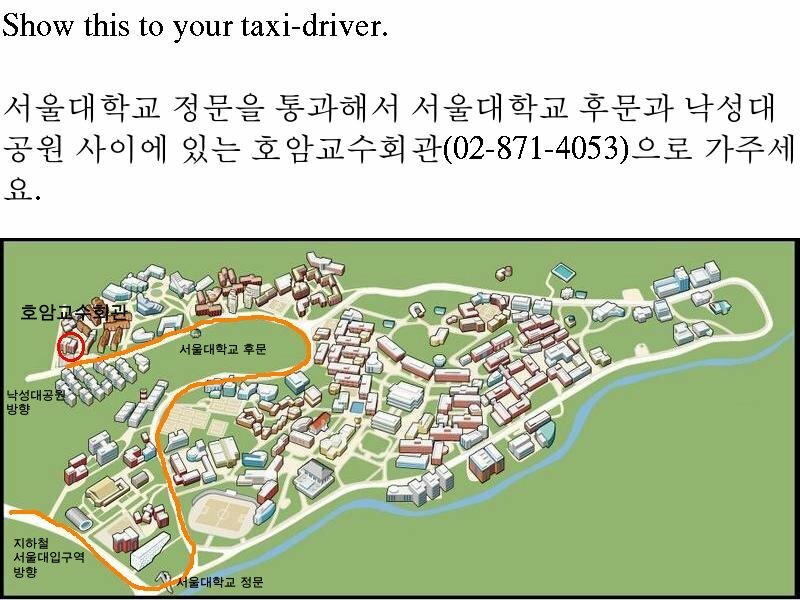 Take a taxi to SNU Hoam Faculty House. Show this to your taxi-driver. Take the Airport Limousine Bus at the bus stop 4A, 10B to Trade Center, COEX. Interval: 20 ~ 25 min. Buses and subways are operating from early morning till around midnight. You can buy subway tickets at subway stations and bus tickets from bus drivers. But, using T-money is the best bet. It is convenient and economical. It can be used for both subway and bus. The fare is proportional to the total length per trip that may use buses, subways, or their combinations. You scan the card whenever you get on and off. Nearest subway station: "Seoul National University" station, line number 2, station number 228. 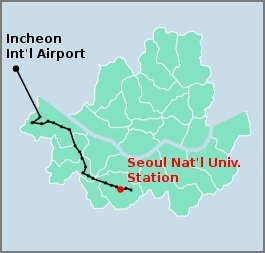 Don't be confused with "Seoul National University of Education" station (station number 223) of the same line. Seoul subway maps: Urbanrail, Seoul Metro Rapid Transit Corp. If you stay at a hotel near COEX in Gangnam, take subway line number 2 and follow the link below.